The Latvian Azerbaijanis will collect signatures in protest against Khojaly Genocide. The petition will be sent to the French Senate on the occasion of the 20th anniversary of the Khojaly Genocide. The deputies of the Latvian Seimas and the European Parliament will get acquainted with the petition. “Contrary to the international norms, the Armenian state tries to annex Nagorno Karabakh, demonstrating its readiness to crimes and brutalities. 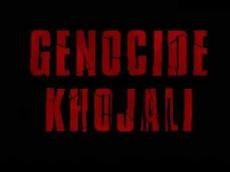 The Khojaly genocide as tragedy of the 20th century is a result of aggressive and criminal policy of Armenians. “We hope such world`s authoritative international organizations as UN, EU and the OSCE, the peace-loving nations will undertake measures against aggression and despotism of such a state as Armenia,” the petition reads.